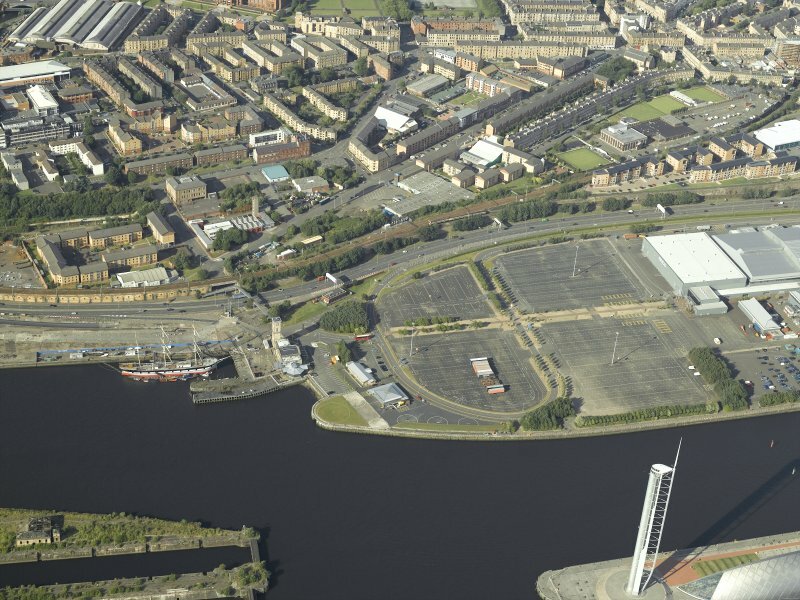 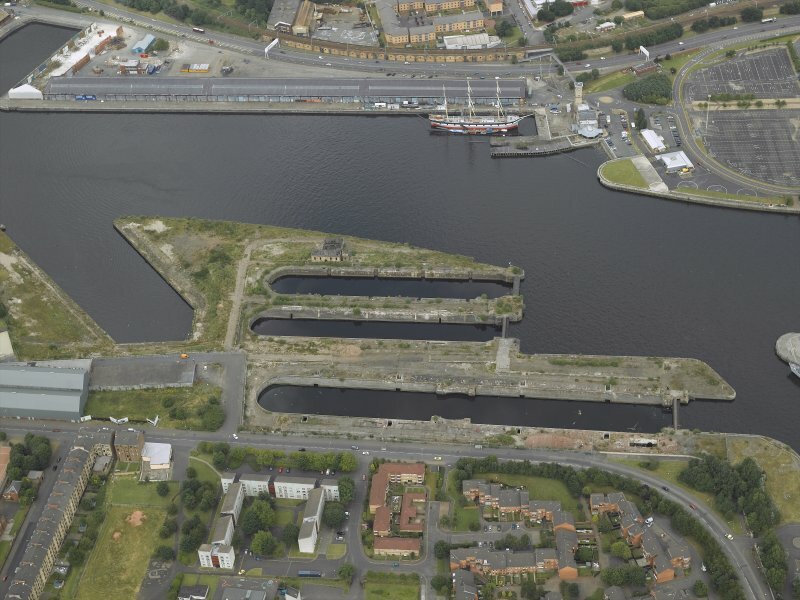 Oblique aerial view of the docks with the tall ship adjacent, taken from the SSW. 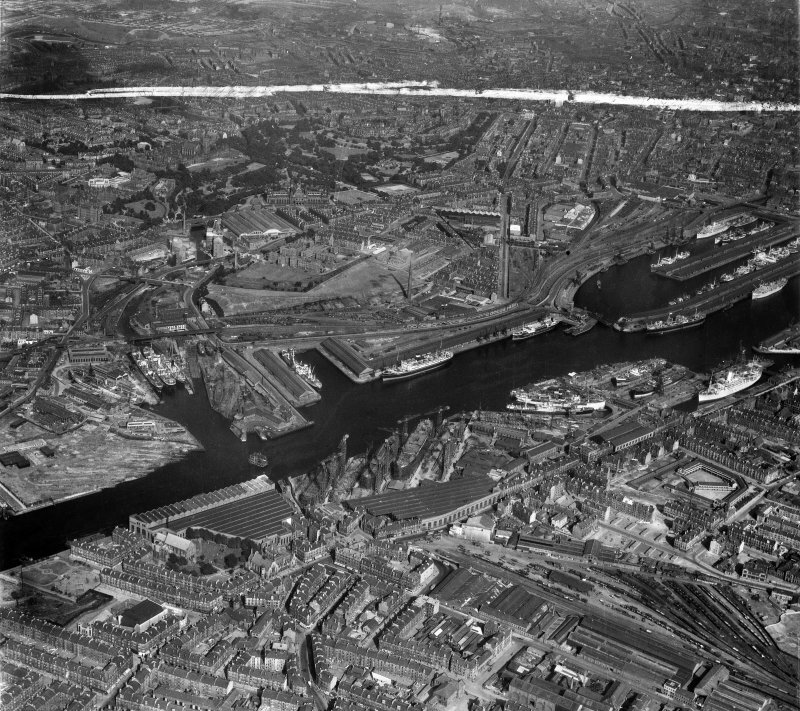 Oblique aerial view of the quay centred on the tall ship, taken from the SSW. 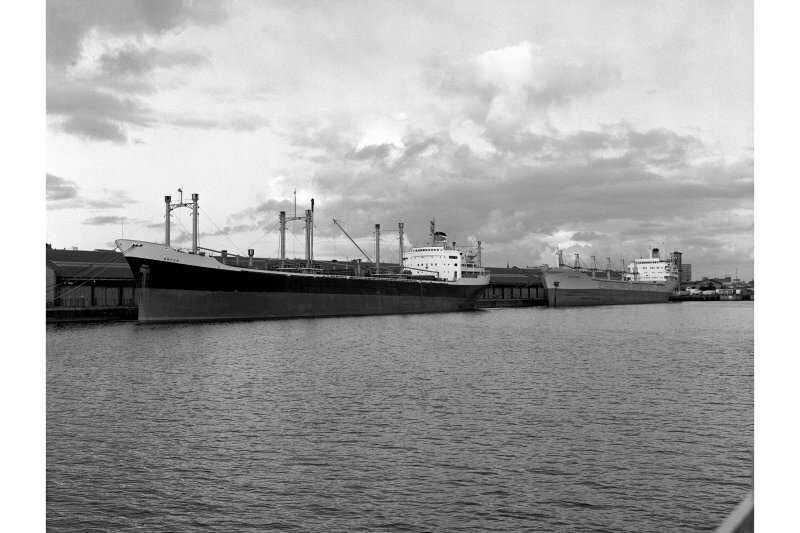 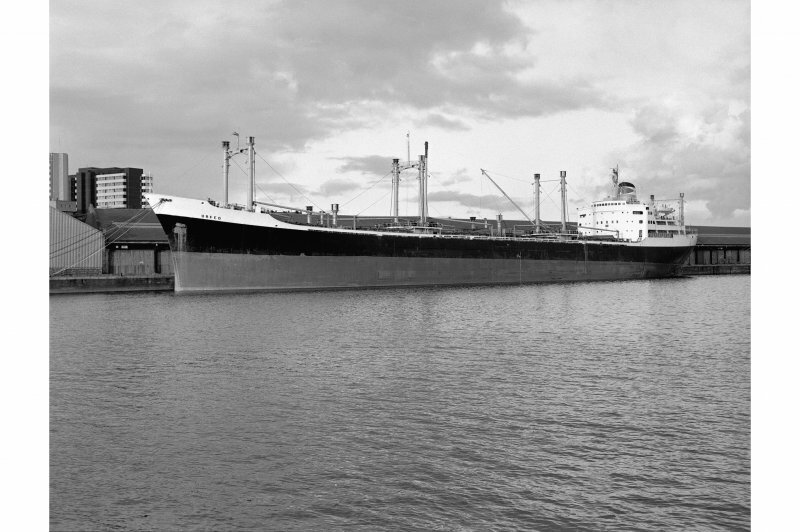 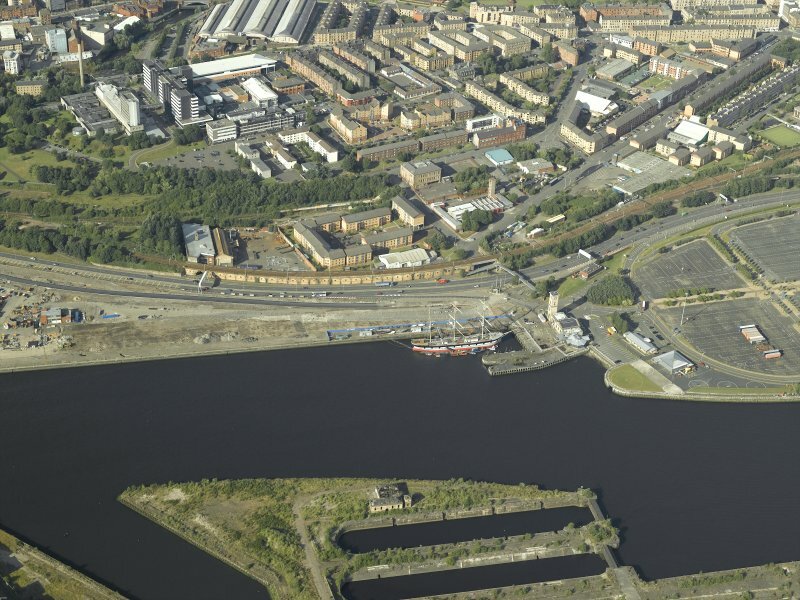 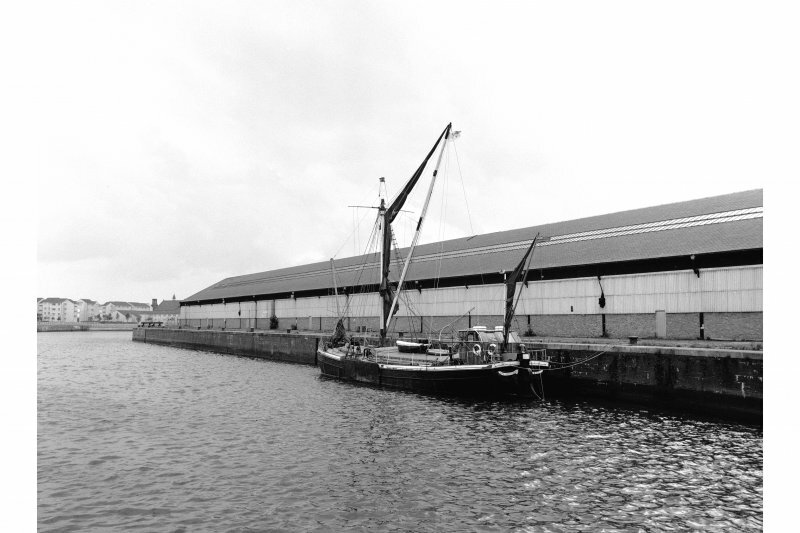 Built by the Clyde Navigation Trust about 1908, Yorkhill Quay and Basin were used as the Glasgow base of the Anchor Line until the 1960s when commercial use of the Clyde declined.